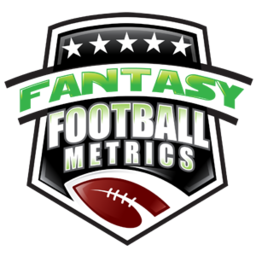 1) As an FFM’er, you may have half+ your team going in that KC-LAR game…be mentally ready to be down 100+ heading into that game. It’s going to feel weird falling so far behind Sunday and having to wait to Monday to punch back. It will be fun watching your score grow and grow…your poor opponent watching the reverse fireworks display happening to them. 2) You will actually pay full attention and watch to the end on Monday night…so, you are getting your full Booger on for 4+ hours. Crane and all. Re-watching this NYG-SF game is my weekly reminder that this is the worst decision in the history of sports broadcasting…Witten-Booger are the absolute worst thing going in football analysis. From the people that brought you the Mike & Mike split up to launch the total disaster ‘Get Up’ show…out does themselves with the Witten-Booger pairing on MNF. You may want to go off the grid to watch the game and listen to anything else at the same time. All that being said…that’s how exciting this SF-NYG game was to watch/re-watch – I start by rehashing Witten-Booger shade. The game matched the coverage. Actually, the game ended up with an entertaining finish…I just didn’t have anything on the line to really care about it. I just wanted to watch Evan Engram…but I don’t think he played (he caught a pass on the game’s third play and then 56 game minutes later he saw his next target). SF led this game 13-10 at the half, and 20-10 early 3rd quarter. Nick Mullens, once again, flirting with trouble…but wiggling out of it…until he couldn’t. The Giants raced back to make it 20-20. SF drove late and got into the red zone but Mullens’s lack of arm strength came into play and they settled for a field goal…23-20 SF, in the final minutes. Eli had one shot remaining…lose and he was likely not going to start the rest of the season. I wonder what Kyle Lauletta was rooting for…or against his team at that point? Eli drove down and got the game winning TD pass…and the Giants much-needed rebuilding process is delayed yet another day by the human border wall to progress…Eli Manning. Not only does the needed QB change not happen for NYG (or just an end to Eli)…this ‘win’ is a huge loss for draft position in 2019. Maybe the worst win the Giants could have. The Giants ‘rise’ to a 2-7 record on their way to 3-4 wins max in 2018. The 49ers win by losing…falling to 2-8 and now have the draft order tie-breaker over NYG. They’re smart…they named Nick Mullens starter for the foreseeable 2018 future because that gets them closer to 2-14 and maybe the #1 pick. I don’t know what to tell you. You want to drop him…but everyone else you want to roll with at TE is just as randomly bad/good. David Njoku is not an upgrade…check his last three games/last two games with the new coaching plan. Engram catches a pass for 0 yards on the third play in this game. You then watch in growing frustration the next 56 minutes of game play until he sees his next target…another game where he only gets work in the mad dash at the end. However, he makes a nice 30+ yard catch and run…then nearly catches a 30+ yard TD soon after to win it…then gets a short pass and nearly takes it in for a score to win the game (two yards shy). There’s a bunch of nothing all game for Engram, and then he’s an all-star the final 5 minutes of every NYG game, it seems. His 4-46-0/5 stat line isn’t any better or worse than Vance McDonald’s, Kyle Rudolph’s, Trey Burton’s, David Njoku’s, Jack Doyle’s, etc. What did you get from O.J. Howard this week? Travis Kelce went 6-46-0/7 this week. I get Engram is ‘yours’ and you are disappointed in him or Eli or me or whatever. You want to punish him. You want to DO SOMETHING besides sit around and do nothing. The problem is…there’s nothing you can do at tight end. It is what it is now. This is why I go two TEs almost every redraft/every draft/every year…and hold two about all season. I did a lot of Engram-Kittle pairing…so, I don’t care about Engram’s problems. I know I can solve any RB or WR issue I have in-season or waivers. I can’t at QB and TE, not near as easily. At least with Engram…there’s the hope he could bust out…or even just have a huge play to make it worth it. Last year, my pairing of adding Engram second was a saver. There’s also the hope Kyle Lauletta changes the flow of targets soon. There’s semi-hope here with Engram. I get you dumping him but be careful…there’s not much solace anywhere else to get…unless Ertz-Kelce. -- Nick Mullens (27-39 for 250 yards, 1 TD/2 INT) fell back to earth a little bit. Not a bad game, but a bad throw INT…and several near-miss picks. He’s living with the angels. He’s playing a controlled, scripted Sam Darnold-like QB…and it will catch up to him eventually, like with a brutal game of turnovers. He’s been very lucky to face the two worst pass rush teams in the NFL his first two games. He’s barely been touched. At TB, at DEN, SEA, CHI, @LAR the next 5 games – he’ll never make to the end. They’ll have to pull him to preserve his confidence in 2-3 weeks. TB and SEA are nice Week 12 and 13 plays for DST against Mullens. -- Yes, that was Corey Coleman (1-11-0/1) returning kicks and making a catch in this game…the former top WR taken in the 2016 NFL Draft. I wouldn’t give up on him totally, yet, in deep-dynasty (don’t hold but keep an eye on for ‘signs’)…but this is a terrible spot for him to make headway for playing time/targets. -- Dante Pettis (4-12-0/6) got some decent playing time here. I like the way he was moving…he just has that #1 WR swagger/gait, to me. This is a bad spot for him because Nick Mullens is of little help to push him to another level. -- Marquise Goodwin (4-69-0/5) got hit in the head late in this game…helmet-to-helmet when he was trying to make a tackle off a bobbled catch turned pick. Goodwin has had a bad history of concussions. He should be OK for this week, but he’s got a bad habit/luck of taking huge hits to the head. Goodwin has not had more than 5 targets in any game this season. -- Saquon Barkley (20-67-0, 4-33-0/5) is a great looking athlete, but continues to struggle running the ball/getting tackled too easily (to me). Less than 50 yards rushing in four of his last 6 games. Under 3.5 yards per carry in four of his last 5 games. I wonder if he weren’t getting a thousand dump passes a game whether there would be ‘he’s not that great’ whispers? Probably not…not ever. His name, for the media, in Latin means ‘generational talent’. He’s a great athlete, but I’m not overly impressed with his running skills (vision, patience, etc.). He’ll be an FF-star regardless because he can out-run defenders and he will get every touch he can handle. -- IDP to watch: Giants rookie LB Lorenzo Carter (7 tackles, 3 TFLs)…played 45% of the snaps, a little more than normal – and he tallied 3 TFLs. He looked active and with great reach getting to things of the edge. Not good for SF Weeks 14-16…DEN-SEA-CHI. If it’s Nick Mullens…he’s dead, and Kittle-Goodwin would go with him, and Breida would be hard-pressed for TD opps. The Giants draw @WSH, TEN, @IND Weeks 14-16. Should be OK for the OBJ-Saquon show, but if Kyle Lauletta is in…all bets off. It’s a bad stretch ahead for Evan Engram…mostly facing teams top of the league vs. the TE.